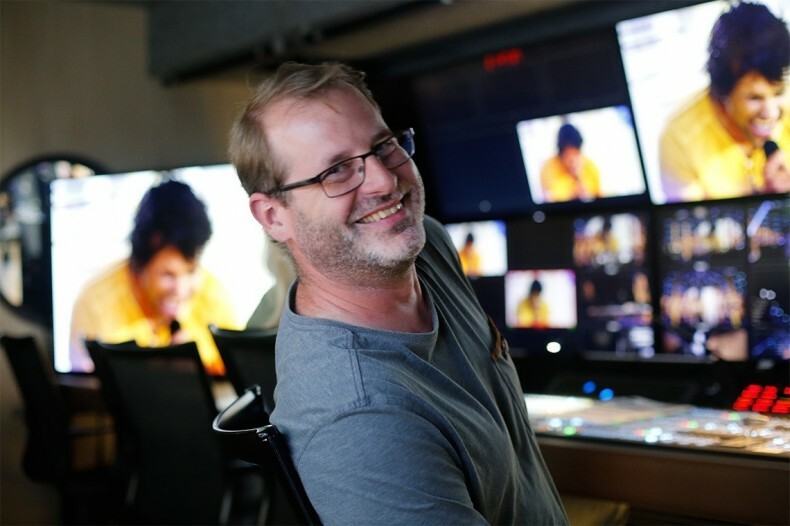 Grass Valley Kayenne switcher at the heart of Sudio Berlin's OB9 UHD mobile production unit. The 'look' for DSDS benefits from HDR production. 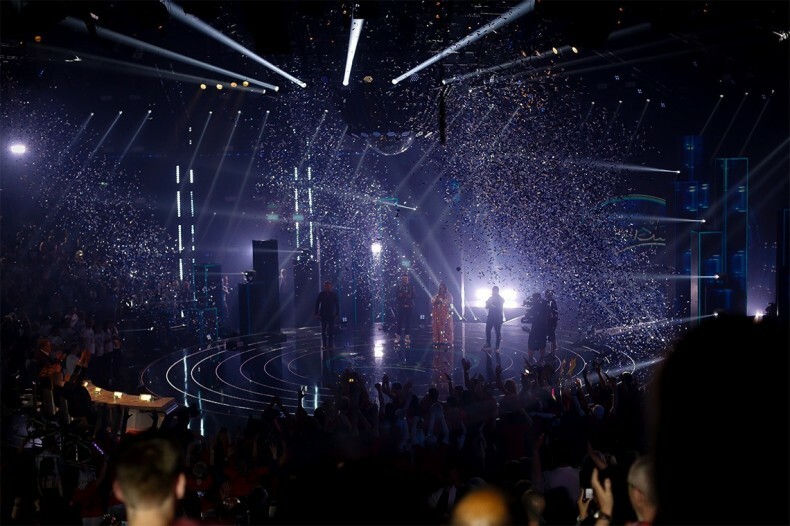 Production company, Europe UFA Show & Factual, broadcast the final of German reality talent show “DSDS - Deutschland sucht den Superstar” (part of the “Idol” franchise) producing the live show in UHD/HDR. The final took place on 5 May 2018 and was produced at MMC Film + Studios Cologne and simulcast in HD/SDR and UHD/HDR by RTL Germany. 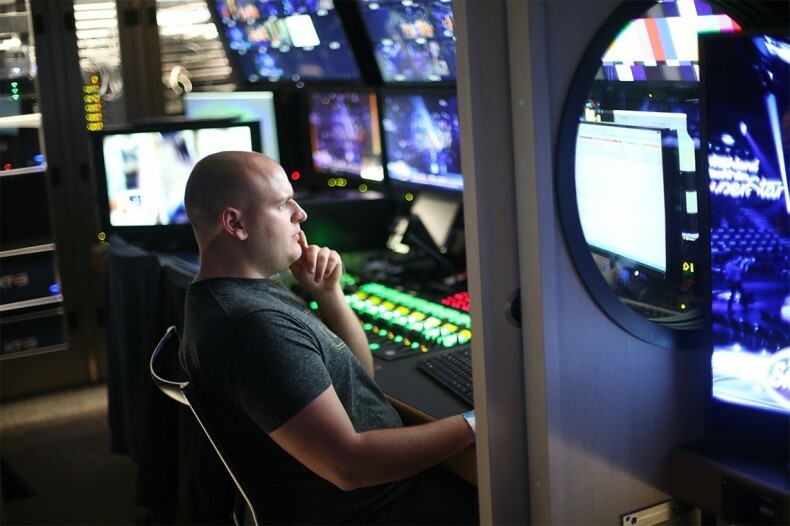 UFA, the production arm of Bertelsmann, commissioned the show from Studio Berlin, who wheeled out their new OB9 truck as the hub of the UHD/HDR-broadcast. The OB truck, designed and built by Broadcast Solutions, was commissioned by Studio Berlin at the beginning of 2017 to work on such complex productions and to implement UHD and HDR productions flexibly and with ease. For the production of the DSDS-final OB9 was stationed at the MMC Studios in Cologne and produced the UHD/HDR signal on-site. The production of the DSDS-final used with the fixed control room of the MMC (HD/SDR) and the control room of OB9 (UHD/HDR) in parallel. As usual, 13 cameras were used in the DSDS-final. As far as the production of the HD signal and the team in the fixed control room, the only change from previous productions was the use of Grass Valley LDX 86N cameras. The LDX 86N cameras simultaneously delivered an HD-signal for the studio control room and a UHD/HDR-signal for the mobile control room in Studio Berlin’s Ü9 OB truck. The camera base station or eXchangeable Control Units (XCU) were installed in the fixed control room, to ensure command connection and Tally as usual. The XCUs simultaneously deliver a UHD/HDR- and an HD/SDR-signal. This allowed both control rooms to access the same cameras. The cameras were controlled from both in the fixed control room for the HD-signal and in the mobile control room for the UHD/HDR-signal. The cameras allow for independent settings for each format. A Grass Valley expert team was on-site during setup and production, contributing to the production’s success. The show signals, available exclusively in HD (including VTR-feeds) were produced in the fixed control room of the MMC Studios and handed over to the Studio Berlin OB9. Here, these HD-signals were converted to UHD using Grass Valley Densité IPG 3901 modules. The UHD/HDR broadcast signal was then broadcast live via Nevion Equipment to the CBC Cologne Broadcasting Center. The Grass Valley Karrera switcher used in the OB truck was controlled remotely via the studio's fixed control room. Manual override was only used in particular scenes of the show, such as the use of digital video effects. The audio mix was also handled in the studio control room. During production, Studio Berlin in the OB truck relied on Sony BVM-X 300 monitors. Using the live satellite signal’ return feed the teams in the OB truck checked UHD quality with LG and Samsung UHD screens. Therefore, it was already possible during production to determine how the panels of different manufacturers would behave at the viewers’ home. Over the whole planning and production period, Michael Mücher and his team from consulting company BET supported the crew with their know-how. The OB9 truck was developed by Broadcast Solutions based on the Streamline concept and is designed as an S16 (16 cameras). Inherent features of Streamline OB trucks are field-proven room and design concepts, combined with the use of the latest 4K/UHD, HDR and IP-workflow technologies. The OB9 can work in both HD/SDR and UHD/HDR formats. The Ü9 OB truck is one of the first Streamline models in which Broadcast Solutions has incorporated Riedel's MediorNet solution for video processing, operating as a distributed signal routing and communication backbone with MetroN core routers and MicroN Standard + multiviewer systems.